I've been busy today cutting out new stamps, labeling them, and trying to get the craft room organized once again. The later is a never ending challenge! 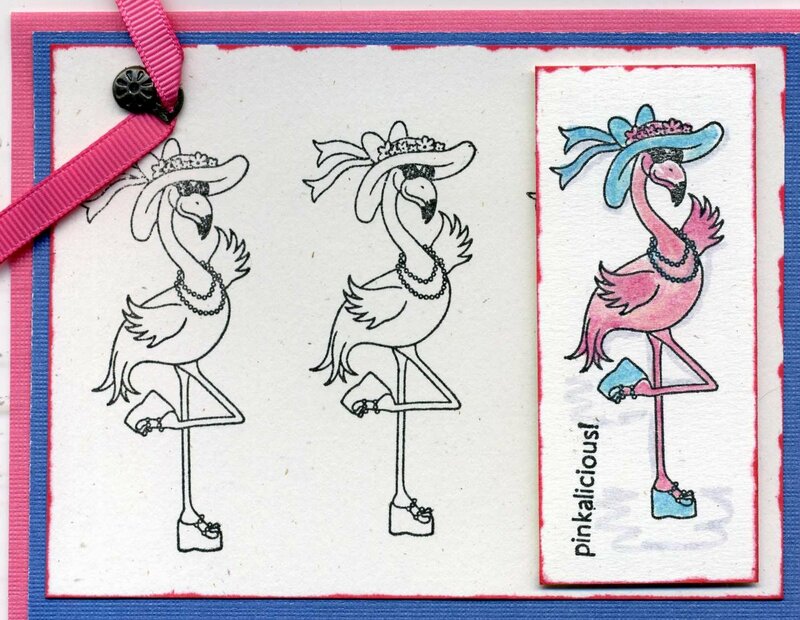 And then I ran across the Tickled Pink Stamp Set and knew right away that was the stamp set for the August Card Kit. They are so tacky yet so cool! The first atomic-pink molded plastic lawn flamingo went on sale in 1957. It was an immediate success; in the next decade, Americans bought millions of them. But by the 1970s, lawn flamingos were gathering dust on the hardware store shelves. In 1983, the New York Times ran an article title "Where Did All Those (Plastic) Flamingos Go?" Suddenly, lawn flamingos were flying again. 1985 was a record year, with 450,000 sold in the United States.! Some people actually travel with their pink flamingos! The plastic birds go camping, hiking, skiing, and mountain biking. Entire web sites are devoted to the travels of these artificial creatures. And to think we just stamp with them!! The August Card Kit is ready. 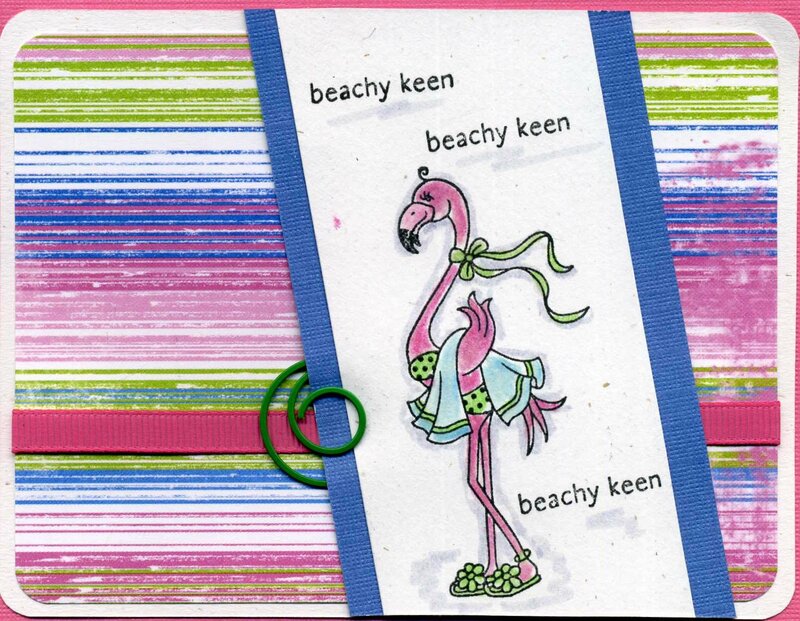 It features the adorable Tickled Pink Stamp Set - 4 very adorable flamingos and 6 delightful sayings. The kit is $19.99 which includes the stamp set, the cardstock, the patterned paper, and the embellishments. (Shipping and tax included.) Just send me an email to order.